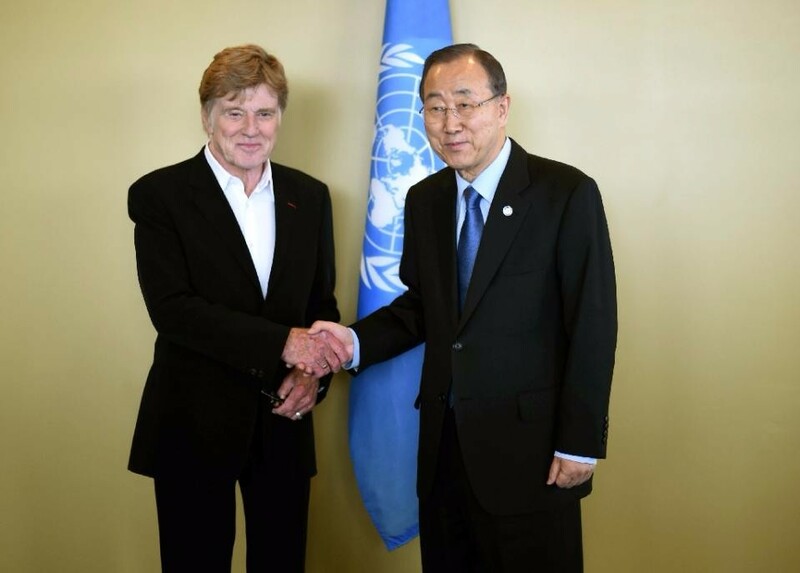 Veteran actor Robert Redford is the latest celebrities and global leaders to speak out on the need to combat climate change in advance of the UN Climate Conference in Paris, joining many others including Pharrell Williams, Pope Francis, and of course our own former President Mary Robinson. United Nations (United States) (AFP) – Robert Redford told the United Nations on Monday that negotiations on a global deal to tackle climate change could be the world’s “last chance” to save the planet. “This December, the world must unite behind a common goal,” said the American actor and producer. “Because look, this is it. This is our only planet, our only life source. World governments will try to forge a new global accord to address climate change at a UN climate conference in Paris in December, with both developed and developing countries committing to cutting greenhouse gas emissions. The landmark agreement would limit global warming to 3.6 degrees Fahrenheit (two degrees Celsius) from pre-industrial revolution levels as of 2020. Redford pointed to global warming fueling extreme weather such as the deadly heatwaves in India and Pakistan that have claimed thousands of lives. “Everywhere we look, moderate weather seems to be going extinct,” said Redford, who starred in such classic films as “Butch Cassidy and the Sundance Kid” and founded the Sundance Film Festival. Redford told the gathering that he was an “actor by trade” but an “activist by nature” and that his convictions on the need for action to save the environment had grown over the past 40 years. Like Lego, Well Lego Likes Wind Energy – Hear them explain why.